This rather short piece is about Chandran, a history major whom we first meet being asked to be the Prime Mover in a debate ” The Historians should be slaughtered first”. So already the beginning of this novel is catchy. It continues with Chandran’s life in and out of the university, for example establishing a History Association, trying to get a marriage arranged between himself and a girl he sees and follows on a beach, his depression when their horoscopes don’t match and hence they cannot marry…. And all this followed by months of him being a sanyasi, someone who renounces worldly and materialistic pursuits. After around 9 months he returns home to his worried parents and has to decide what to do next – to go to England maybe…? or take up a venture into a newspaper venture? And all this while his mother is giving arranging a marriage for him another try. 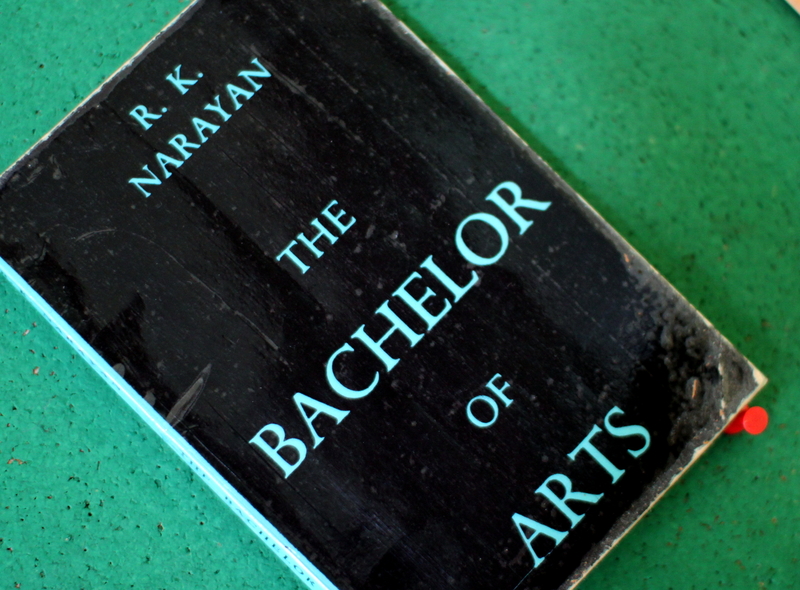 This entry was posted in Fiction, Indian literature and tagged R. K. Narayan, The Bachelor of Arts. Bookmark the permalink.